For what seems like an eternity, trendy interiors have been rocking the monochrome look. White walls. Black and white tiled floors. Inkwell prints. Even the soft furnishings have been black and white. At last count, #monochrome had been tagged #11,278,092 times on Instagram. And I for one have had enough of it. Mercifully, it seems some interior companies feel the same. In our home, we’ve never fully embraced interior trends. 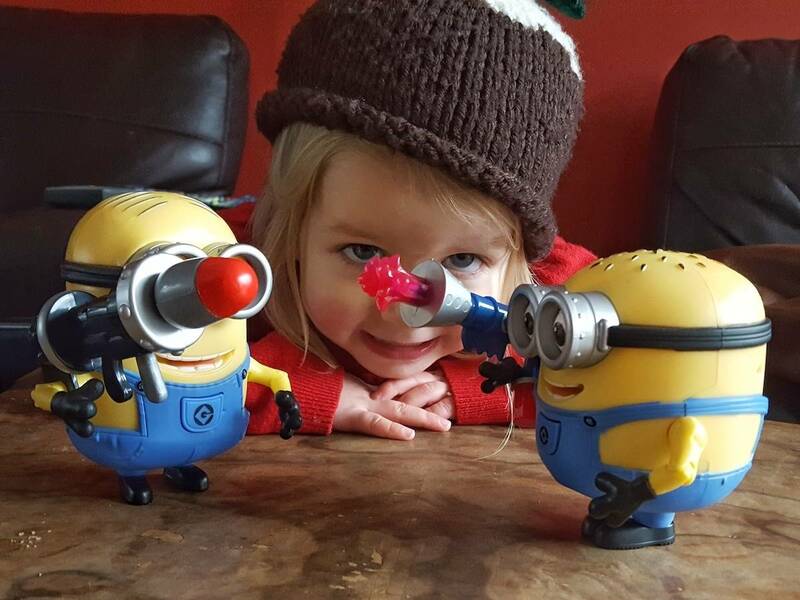 Let’s face it, I’m a work from home mum. It’s never going to be a show home. We do have monochrome in the bathroom and when our kitchen is finished it will be predominantly black and white, with chrome handles. But we’ve also kept a few red walls in the house – and of course the obligatory childhood clutter for good measure. And during these bleak years of monochrome madness, I’ve had little desire to style my home the same way as everyone else. Mercifully, colourful interiors are tentatively starting to make a comeback. Home furnishing brands like Brabantia are producing stylish pieces that offer a splash of colour to even the most whitewashed home. And cleverly, some of their pieces incorporate a rosy blush into a monochrome background. Take this ironing board for example. Black, white, black, white, black, white, PINK! I think it’s incredibly apt that the writing on in the pink circle says ‘spot happiness around you’. For me, happiness is in the colour. It’s about bringing the outdoors in. 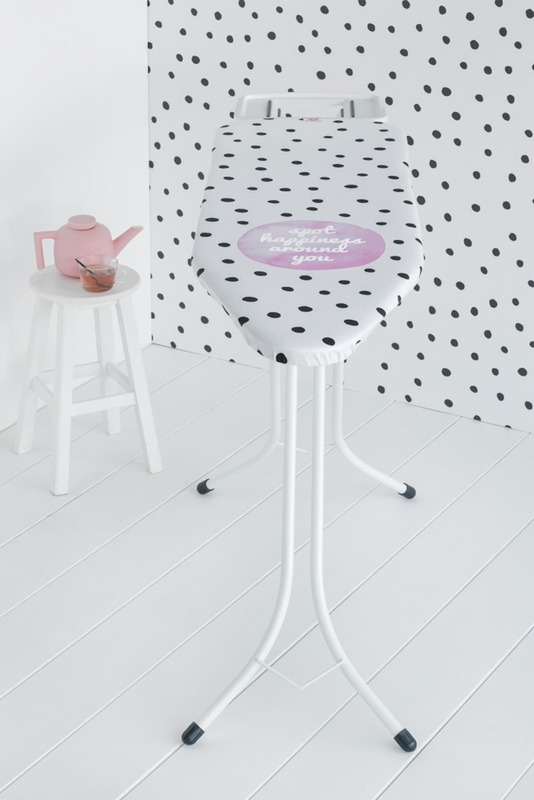 Brabantia have a range of ironing boards with different patters in. Many of them embrace nature as much as we do with flowers, leaves and delicate dragonflies. Is this the end for monochrome? If the interior industry is incorporating colour, does that spell disaster for monochrome? Will all those white Instagram accounts dwindle and fade into their own soulless backgrounds? Are the home decor fashionistas of this world going to whip out the paint and start painting the town (or the interior walls) red? I doubt it. Brabantia are embracing blocks of colour on their bins and laundry baskets among other items. For those of us preparing to set foot into this brave new world there are plenty of colourful options. But if you’re not quite ready to embrace floral prints and glorious technicolour you will still find black, white and metallic finishes. And as for us? We’re embracing natural colours. Summer seems like the perfect time to bring nature indoors. 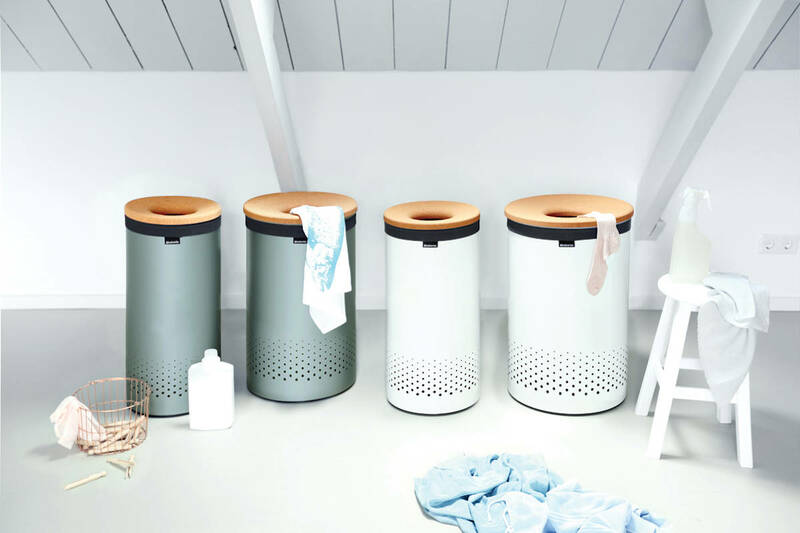 You haven’t seen the last of Brabantia on my blog. I’m eyeing up their dragonfly ironing board and when the kitchen is finished, I’ll be treating it to a smart new pedal bin. I think a yellow one would be the perfect antidote to our black work surfaces and white cupboards. 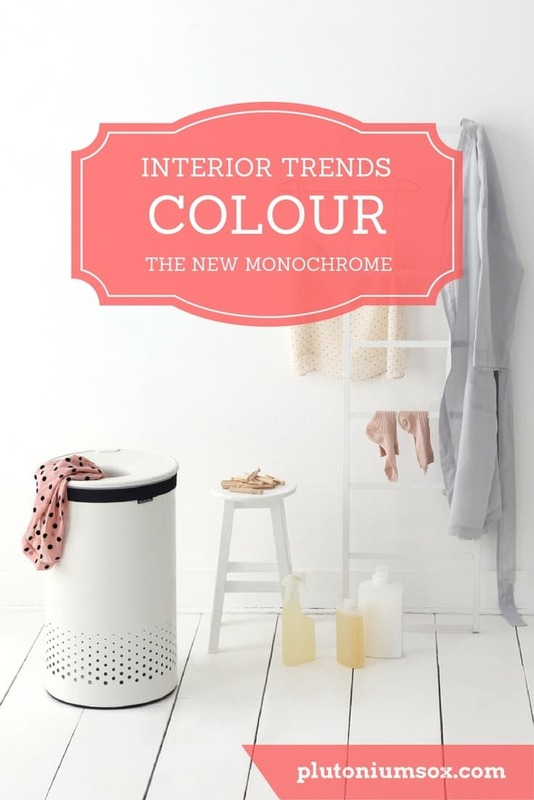 Are you ready to embrace colour in your home or are you clinging to monochrome until the bitter end? Please note, this is a collaborative post. All views, opinions and red interior walls are my own. Sadly the images of beautifully tidy homes are not mine. I have children instead. You know I just had to read this. I absolutely love colour, a yellow bin sounds AMAZING. I love brabantia bins, was secretly hoping that my in laws getting a new kitchen would mean that they are getting new bins so we could steal their brabantia. No such luck! I used to be Mrs Monchrome years ago but since having a child I’ve gone back to having lots of colour in the house. It’s wonderful. These bins are absolutely gorgeous. We’ve had Brabantia for years and can’t fault them – we still have one now although it’s looking a little tired now, the poor thing. Those washbaskets are also stunning! Will definitely be adding them into my shopping list. Oh I have been trying to convince my husband to let me have white floors upstairs and he’s not having it lol. Our house is so multicoloured from all the furniture and kids’ stuff that I don’t think I could cope with coloured walls. But yes our bins, etc are what puts the colour in. I’m a colour lover but do like it to be on a vague theme! I love this! I love a theme, but it has to have colour in it. I’m not that bold with it, but every room has a splash of colour in it. My house definitely isn’t black and white! X p.s I need that yellow bin! I do love a bit of colour throughout the house. We love Brabantia homewares and I’m loving the washing baskets, they’re beautiful!